Every time I travel to Barcelona, I visit a trio of structures by modernist architect and 20th-century visionary, Antoni Gaudí. Here’s why these UNESCO World Heritage sites never get old. It turns out the answer is no (gaudy, of French origin, dates back to the 15th century). But that doesn’t make the bold, fantastical carvings of the architect’s still-evolving structure any less impressive. I’ve visited this landmark four times in the past 12 years, and I find something new to love each time. In fact, this cathedral, the La Pedrera apartment building and Park Güell are my favorite Gaudí sights in Barcelona. To make the most of your time in this vibrant Spanish city, make sure you explore all three. 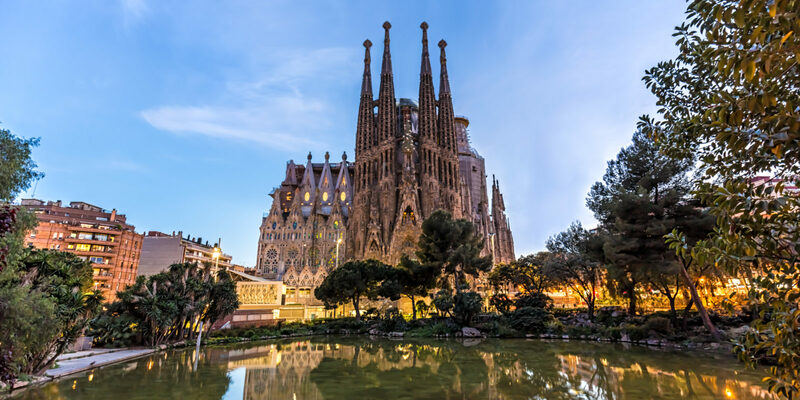 This extremely popular tourist attraction is still under construction 134 years after Gaudí first conceived it in 1883 (with the first tower completed in 1925). 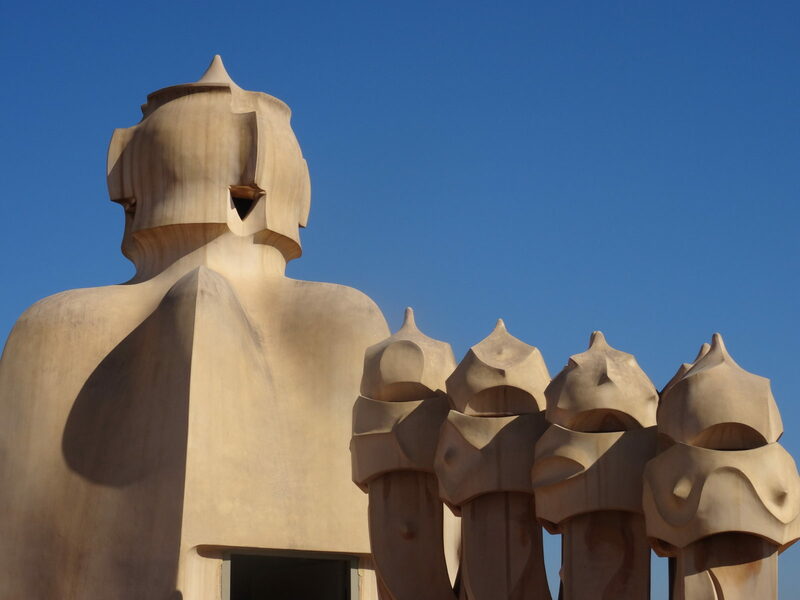 The first time I waited in line for a ticket, I couldn’t stop staring up at the distinctive curved and carved towers jutting high into the blue Mediterranean sky. Each one spirals upward in riveting twists and is finished with a colorful topper resembling neatly piled fruit. There are now 12 spires, with six more scheduled to be completed by 2026, in time for the 100th anniversary of the architect’s death. 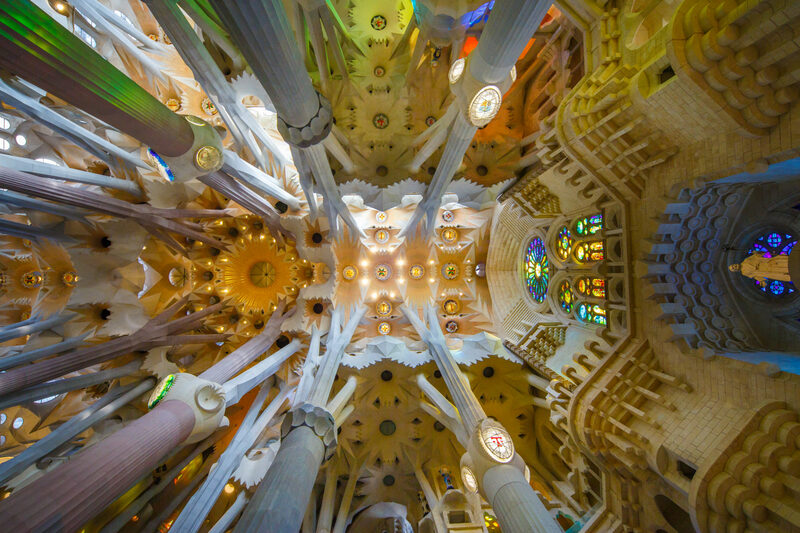 Gaudí’s fascination with nature became evident once I stepped inside the massive cathedral. The interior reminded me of a towering rain forest, with white pillars rising upward and exploding with branches, leaves and flowers in a scale so colossal it made me feel Lilliputian. It’s a place, I discovered, where lengthy gazes upward and jaws dropped opened in awe are perfectly acceptable. In fact, they seem to be the norm. I’m always equally impressed by La Pedrera (also known as Casa Milá), Gaudí’s masterpiece of Catalan modernism completed in 1912. My fourth visit to this unique apartment complex, located on the chic Passeig de Grácia and known for its curved walls and dizzying courtyard, was no less mesmerizing than my first. The wondrously off-beat rooftop features dozens of sculpted chimneys that resemble angular, gap-eyed aliens. Typically, I find myself walking the entire periphery, keeping my camera handy to capture the coolest angles. The rooftop also offers a view of La Sagrada Família in the distance, its massive scale taking on a whole new perspective. Inside the building, you can admire an entire apartment filled with typical furnishings, household items and décor from the early 20th century. The art nouveau influence is clear through Gaudí’s use of nature-inspired decorative elements, especially on the window and door trims. With each visit, I find new details to fall in love with, so I’ll definitely be back. A sunny afternoon offers the perfect opportunity to stroll through Park Güell, where Gaudí’s unique interpretation of nature is set against a backdrop of colorful flowers and lush palm trees. The area began as a turn-of-the-century estate for Barcelona’s wealthy families. Today, anybody can enjoy this hilltop space named for developer Eusebi Güell, who commissioned it in the style of an English park. 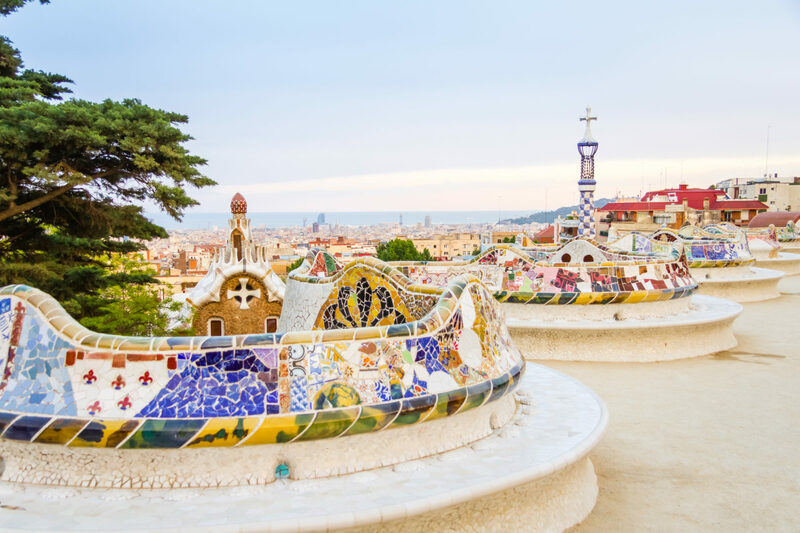 Gaudí obliged by producing intricate pavilions and a striking esplanade, with an undulating mosaic-tiled bench offering views of the city and the sea. Every time I walk through the park, I admire Gaudí’s colorful creations — the giant lizard on the grand staircase, the curved stone facades topped by whimsical turrets and grandly carved columns. Overall, the effect is that of Flintstones-meets-Jetsons-meets-ancient Greece, with a medieval fairytale village thrown in. As with the other stops, visiting Park Güell is a one-of-a-kind experience in a city where Gaudí’s legacy lives on in ways only he could have imagined. Reserve your entry tickets to La Sagrada Família, La Pedrera, and Park Güell online ahead of time. You can see all three via a hop-on/hop-off sightseeing bus tour. Discover Barcelona before, during or after a Spain guided tour, available through the Marriott Vacation Club Destinations® Exchange Program.